On my recent trip to the library, I grabbed two books by Richard Carlson, Ph.D. He is the author of the #1 New York Times bestseller, Don't Sweat the Small Stuff . Dr. Carlson has written over thirteen self-help books. You might find one or both of these books useful in your life right now. Easier Than You Think, by Richard Carlson, Ph.D.
Dr. Carlson discusses thirty-nine ways you can make simple changes to positively affect your life in Easier Than You Think. Each of these topics might seem small, but if you even grab a few of them to implement in your life, you may feel a transformation from the inside out. What if you could learn to be at peace in this chaotic world? Instead of avoiding problems, you can develop the courage to live life with an open mind and heart, feeling calm and confident along the way. One example of a small change recommended by the author is to be kinder to yourself by catching self-deprecating thoughts when they occur and replacing them with positive aspirations. Another way to be kinder to yourself is to reserve time each week to do something just for you. This practice will fuel your desire to want to give more to others. Another example provided by Dr. Carlson is to set your expectations to zero. Don't abandon your goals, but do all you can to not be overly attached to specific outcomes. For example, if you want a new car, don't be so attached to a specific make, model, and color, that anything other than that specific car will be a disappointment. Free yourself of the details. Let go and let God, is another way of expressing this philosophy. Dr. Carlson's spirituality comes through every page he writes. He is also a master at supporting his teaching with engrossing stories from his own life and from the lives of people he meets on his lecture tours. Easier Than You Think is worth reading for a spiritual boost. What About the Big Stuff? by Richard Carlson, Ph.D. In What About the Big Stuff?, Dr. Carlson takes on those big, life-changing events that can put us in a state of overwhelm and pain. What if you could build a reservoir of inner strength that you could tap into when your life became challenging? Examples of challenging events include retirement, aging, death, divorce, injury, and job layoffs. You'll find strategies for enhancing your ability to cope with such major life events in What About the Big Stuff? In no way does Dr. Carlson set himself up as an expert on being able to take on the big stuff unscathed. He offers suggestions on how to find the strength to move forward as a fellow life traveler. His assumption is that everyone has a capacity to expand their inner strength and to heal when it feels like their life is out of control. According to the author, one of the secrets to becoming more resilient is to learn to be happier and more content on a daily basis. Whether you're going through a major life event now or you want to prepare yourself for what is down the road in your life, What About the Big Stuff? offers sage advice on how to improve your navigation through life's stressful events. I spent many years eyeing the potential of growing an internet business and making amateur attempts at doing so. Can you relate? In November 2016, I finally took the plunge and invested in a top quality internet marketing program that promised to teach me a proven system to start and grow an internet business. Through this program, I'm learning and applying the skills I need. I am feeling confident, happy, and grateful that we will be adding value to people's lives via our internet business for many years to come. I would like to introduce you to the high quality program that has given us a proven road map to launch our internet marketing business. We're at the starting gate to serve our new clients via the internet and know we're on the right track to create a successful business. You might have tried other programs and come up empty for your dream business. That can all change today! The program is Jeff Walker's Product Launch Formula (PLF). PLF 2017 is launching SOON in SEPTEMBER. Be one of the first to get notification of the 2017 PLF launch by joining my list. Jeff is a husband, father, outdoorsman, New York Times best-selling author, entrepreneur, team leader, trainer, and a gifted internet marketer. He is the creator of Product Launch Formula, one of the best-selling internet marketing programs of all time. Jeff has earned over $25 million by applying his formula himself. He is most proud, however, that in the past two decades his students have generated more than $500 million in revenue helping people around the world solve problems by sharing their expertise. Jeff Walker launches his game-changing Product Launch Formula only once per year. It's essential training for anyone planning to launch their own business with existing or new products or services on the internet. PLF is a proven, step-by-step process that includes a video training portal (it took me 6 months to study all the comprehensive videos! ), email templates and scripts, sales letters, case studies, recorded/live coaching calls,a Launch List course, a Product Creation Formula course, book launch course, Facebook community, and a three-day live event to find joint venture partners. You'll learn through Jeff's case studies how his Product Launch Formula has helped all types of businesses become more successful through internet marketing. Success stories include dog trainers, tennis pros, knitting stores, herbalists, coaches of all types, authors, hair stylists, and course creators from a wide variety of interests. You'll get invited to join a community of successful online entrepreneurs who want to help people in their respective niches solve problems. Along the way you are invited to set up your own mastermind of like-minded PLF students to help you stay focused on your own launch details. I highly recommend Jeff Walker's PLF to anyone who wants a successful online business. Why Should You Sign Up Through Me? I have purchased other courses and marketing programs, and none of them came close to matching the depth and breadth of Jeff Walker's Product Launch Formula training. I believe it's the gold standard in the marketplace, and I'm confident you will, too! Plus, for anyone who purchases PLF with my affiliate link, I will provide 4 hours of individual coaching calls to support you in your own startup. This is a $1,000 value, which you will receive for FREE! I was introduced to Product Launch Formula by Ann Wilson, The Wealth Chef (www.thewealthchef.com). 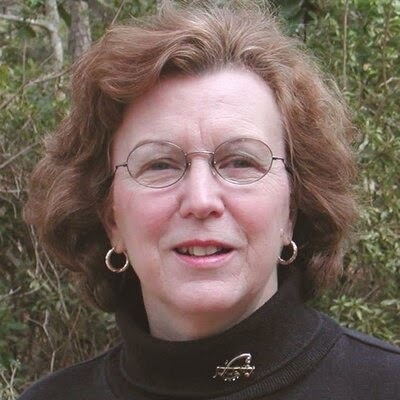 I had been following Ann's online success and absorbing her training on financial matters for more than two years. When she revealed that her teacher was Jeff Walker, I just had to learn more about PLF. Since starting Jeff's training last November, my husband, Bruce, and I launched Adult ADHD Unplugged (www.adultadhdunplugged) with a new website, blog, email marketing, and upcoming online courses. We're even planning to serve a second niche online - freelance writers. It's been an exciting year for us to learn from Jeff and begin to apply his teaching to our new businesses. Your most valuable asset in your internet marketing business is your email list. When you learn how to build an email list of people in a specific niche, you have the foundation of your business in place. You can develop and sell your own products and services for your niche. You can also offer others' products and services to the people on your email list. This is how you use your email list asset to expand your wealth with no cap on your income. Once you understand the biggest problems of the people in your niche, you're in a position to help them solve those problems with your products and services. The better job you do of solving their problems, the more they know, like, and trust you and will continue to buy from you. Most people are drawn to helping people in a niche where they have some expertise to help their customers solve their problems. It's just common sense. You don't need a PhD to help others. You just have to be a few steps ahead and learn how to package what you know to help other people connect to the solutions they need. I'm an analyst and an introvert, so an internet business suits me. I work on designing my own ideal lifestyle every day and this business is perfect for my plans to co-locate. Most of the time I work from home, but I can easily take my business with me wherever I can connect to the internet. I decided to take the PLF plunge in 2016 because I saw that internet marketing tools had become more user friendly and less disjointed. As I have acquired various internet marketing services to launch our business, that has proven to be the case. I'm not an engineer, and I don't want to be trying to operate complex systems that don't connect to each other just to run our internet business. Thankfully, through PLF I have found a few basic, user-friendly tools that do the job for us. After hiring employees to support our real estate team in 2004, I vowed I would never go through that again. Thankfully, there are contractors around the world who are set up to work with internet marketers as independent contractors. That's the only way I want to build a team going forward. Every day is a creative adventure with an internet marketing business. You find yourself always thinking about the people in the niche that you're serving. You'll get ideas to help them solve their problems with your own digital products, such as your blog, ebooks, online courses, podcasts, webinars, checklists, and special reports. I now am in a mastermind group with three other online entrepreneurs from the PLF program. We each have different niches and we share ideas and strategies on a weekly basis. You'll also find that other online entrepreneurs in your own niche and related niches are interested in forming commission-based alliances to share your products with the people on their email lists and vice versa. That's how this industry works - people helping each other grow their assets. Once you get a digital foundation built for your business, the people in your niche can find your business on the internet and purchase your products and services on their time. Your sales don't depend on your presence. You do have to set up customer service systems and also get ongoing feedback from the people on your email list in order to ensure that you're offering products that solve their immediate problems. I'm never bored in my internet marketing business. Not only do the people in your niche have ever-changing needs but the technical tools, players, and trends are constantly changing. For example, podcasts are now becoming ubiquitous and blogging for paid ad revenue is becoming obsolete. I would like to introduce you to the high quality program that is helping us launch our new internet marketing business. When you get on the notification list, you'll get to meet Jeff Walker through his 2017 PLF Launch videos. You'll learn a lot for free just by watching his own launch! Are you ready to change your life and your business prospects today? Then open your mind and get on my list so you can learn all about Product Launch Formula from Jeff Walker himself in the next few days. PLF 2017 is launching SOON in SEPTEMBER, so be one of the first to get notification by joining my list. Disclaimer: Because I believe in the PLF course, I am a proud affiliate partner of Jeff Walker. If you invest in one of his programs in the future, I may receive a commission but at no extra cost to you. According to the U.S. Center for Disease Control (CDC), as of November, 2013, up to 11% of children between the ages of 4 and 17 have been diagnosed with ADHD. That translates to nearly 6.4 million children, a 53% rise in the last decade. The 2013 report from the CDC indicated that up to 17.5 % of the children diagnosed with ADHD were not receiving any form of treatment. While many kids outgrow ADHD, about 60% carry it into adulthood. About 4% of adults in the U.S. over the age of 18 have been diagnosed with ADHD, or about 8,000,000 adults. If you take into account that adults who were not diagnosed in childhood are more likely to not be diagnosed as adults, then the 4% statistic for adults is most likely understated. The Anxiety and Depression Association of America (www.adaa.org) estimates that less than 20% of adults with ADHD have been diagnosed or treated. That situation occurred in our family just recently. My husband, Bruce, was diagnosed with Adult ADHD right before his 70th birthday! Since his diagnosis, we've been learning quite a lot about this mental condition. I'd like to share some of my thoughts about the single best resource on Adult ADHD I’ve found. I’m referring to Russell A. Barkley, Ph.D.'s book Taking Charge of Adult ADHD. Barkley is the recognized expert in the field, with over four decades of clinical experience. Barkley is a straight shooter. He neither glorifies nor demonizes the Adult ADHD condition; he just presents the facts of the condition. He also includes comprehensive strategies to help those with Adult ADHD be more successful despite their condition. The book is a great ongoing reference for those with Adult ADHD to continue to adopt strategies to improve their quality of life. You can learn a lot from Barkley’s thorough explanation of the comprehensive diagnostic steps available to confirm an Adult ADHD diagnosis. Not everyone will have to go through all of the steps he outlines to get a diagnosis, but he makes the point that being actually diagnosed is not to be taken lightly. Reassuring in his statements that Adult ADHD is the most treatable neurological, psychological, and psychiatric problem, Barkley also makes a solid argument for finding, using, and staying on the right medication. He’s realistic in stating that medication won't magically change your life. There's still work to do and strategies to follow on an ongoing basis to build the experience base that people with ADHD didn't establish earlier in life. If you find Taking Charge of Adult ADHD as valuable as I do, then I suggest you recommend it to friends or relatives who know someone or live with someone with Adult ADHD or who they suspect might have Adult ADHD. The book is also a very good resource for people who are wondering if they fit the Adult ADHD profile. Any adult who suspects they might have ADHD can take a free assessment and then discuss their results with their doctor. The assessment is available in both paper and online versions. Get Adult ADHD Free Assessment links. Review of It's Your World: Get Informed! Get Inspired! & Get Going! It's Your World: Get Informed! Get Inspired! & Get Going! I bought It's Your World: Get Informed! Get Inspired! & Get Going! for our only grandson when he was 8 years old. He told me he would rather have an electronic game strategy book, so I made the exchange for him. I brought the book back home and decided to read it for myself, even though it's written for junior high students. The bottom line for me is that I'm so glad I read this book! Chelsea Clinton is a highly-educated, well-informed, and passionate global citizen. In her comprehensive book, she explores global issues, ranging from the economy, to education, climate change, health, and endangered species. She highlights junior activists who are tackling these issues and growing many grassroots world-changing campaigns. One campaign that caught my attention is Pencils of Promise (www.PencilsofPromise.org), an organization founded by a young man named Adam who asked a young Indian beggar what he wanted most in the world, and he replied, "A pencil." That's how Adam started backpacking through 50 countries handing out pencils, and he eventually started this organization. Pencils of Promise has already built 300 schools serving over 30,000 students, and they don't intend to stop until every child on the planet has access to a quality education. This story is just one of many inspiring profiles shared by Chelsea Clinton in her best-selling book. In every case, a junior activist is prompted to be a change agent to make their world a better place today and for future generations. I was struck by a common characteristic of these young leaders, i.e., they don't see obstacles, they only see solutions. Chelsea Clinton's book inspires me, a grandmother, to want to do more to support worthy global causes, such as Pencils of Promise. In fact, I just made a donation to that organization, when a colleague organized a Pencils of Promise fundraiser involving her clients. I immediately recognized the name of the organization to benefit in the fundraiser, because I had read Chelsea Clinton's book. I believe this book belongs in every school's library and in every home with children age 10 and up. We collectively need to become more educated about the state of our world and do our parts to "get going" and tackle major world problems that are not solving themselves. I'm going to visit my grandson (now age 10) again in a few weeks, and he's going to get It's Your World: Get Informed! Get Inspired! & Get Going! from me again. This time, I won't be convinced to trade it for an electronic game strategy guide! I look forward to encourage him to read it and discuss with me or his parents what he learned and what he thinks he can do with his new found information. I believe in him and his generation; they just need to be pointed in the right direction! 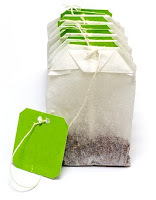 The catechins (antioxidants) in green tea make it such a healthy drink because they promote healthy cell growth, lower cholesterol, and help keep blood pressure in check. Green tea also helps reduce inflammation, counteracts bad breath, and has been shown in some studies to promote short-term fat-burning. Imagine what a relaxing daily green tea break can do for your overall stress level! Although green tea has less caffeine than coffee, it has been shown to stimulate brain function and even lower the risk of Alzheimer’s disease. Resist the temptation to add daily products or sugar to your green tea, to gain its maximum health benefits. Beans are a near perfect food staple for your healthy kitchen. They are low in calories, available in many varieties, inexpensive, and high in antioxidants, protein, fiber, vitamins, and minerals. When you eat beans, they tend to make you feel full and can thus promote weight loss. Make sure to cook beans thoroughly, because some varieties can be toxic if undercooked. 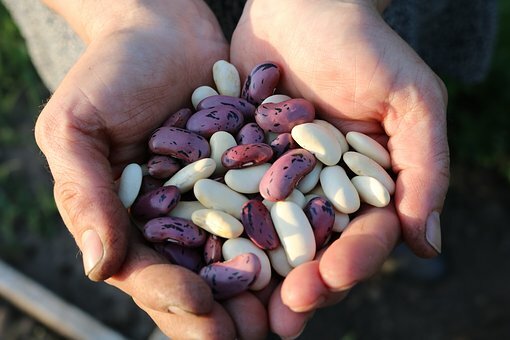 Check out the variety of beans at your grocery store. If you buy dry beans, then you need to soak them in water overnight before cooking them. Consider all the ways to incorporate healthy beans into your diet – salads, stews, dips, stews, soups, and make them a diet staple. Sweet potatoes, commonly confused with yams, are a versatile food you can use for snacks and side dishes. They are rich in beta-carotene and Vitamins A, E, and C, and they also contain high levels of heart-healthy Vitamin B6 and potassium. Another reason to stock and eat sweet potatoes on a regular basis is that they are also high in antioxidants to fight damaging free radicals in your system. 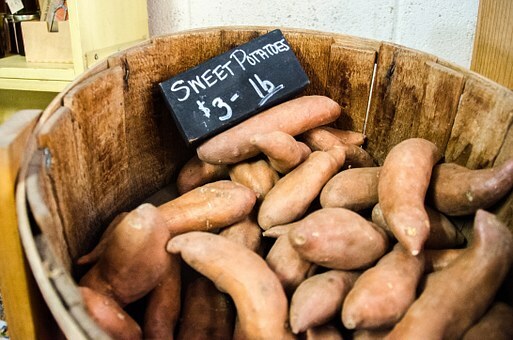 Sweet potatoes have a relatively high fiber content, making them a slow-burning starch. With their mild flavor, mouth-watering color, and exceptional health benefits, sweet potatoes should be consumed in every season! P.S. How about 70 Super Foods for breakfast? And, if you want to learn more about why I jump start my day by drinking 70 super foods in Shakeology, go here: http://fitsolutionsblog.com/shakeology/#!1872. When berries beckon in the spring and summer, it’s time to buy them fresh. It’s also a good idea to stock frozen berries year-round for their health benefits and delicious taste. Berries contain antioxidants called anthocyanins, which are anti-inflammatory compounds that may boost heart health and keep you mentally sharp. 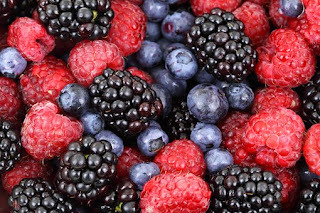 The high fiber content in berries can help your digestive system. Berries satiate you, so they can aid in weight control. Incorporate berries in your daily diet in meals or snacks for their health benefits, taste, and visual appeal. Honey, one of the oldest sweeteners known to man, is an important staple for your healthy kitchen. Buy raw and unfiltered honey, to get the maximum nutritional benefits. Although it’s anti-bacterial, fat-free, and sodium-free, honey is high in fructose, so it should be consumed sparingly, especially for people monitoring their sugar intake. 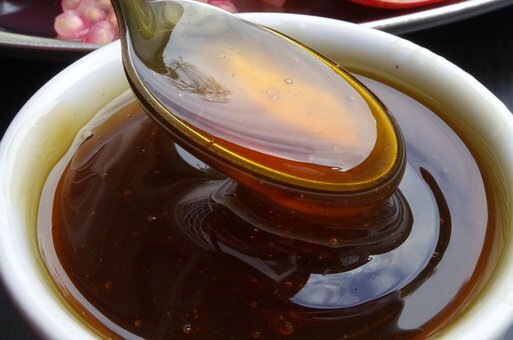 Honey makes an excellent cough syrup; it’s an energy-booster and can enhance athletic performance; it can be used to treat wounds and ulcers; it can reduce dandruff; and honey can control allergy symptoms. Warning: Never give infants honey out of the bottle due to risk of botulism. Part of the onion family, garlic is not only a tasty food flavoring, but it has been cultivated and consumed for its health benefits for centuries. It’s best eaten in its raw state or semi-cooked to get the maximum health benefits. Garlic has high levels of a Sulphur compound called Allicin, which has antioxidant properties to help lower cholesterol and regulate blood pressure and blood sugar levels. It helps to keep the digestive system free of toxins and helps to build immunity against colds and the flu. 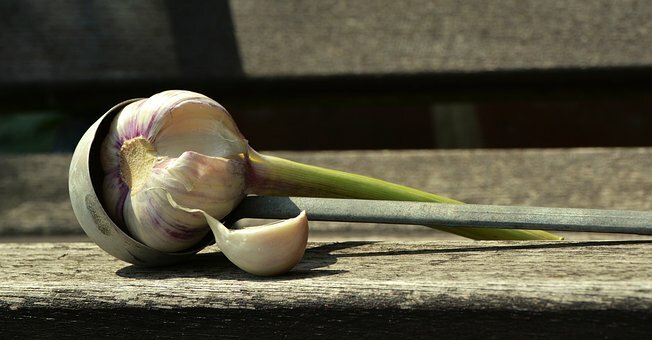 Note that garlic is not recommended for asthma patients. Others will benefit from its low-calorie count and high levels of Vitamin C and other vitamins.